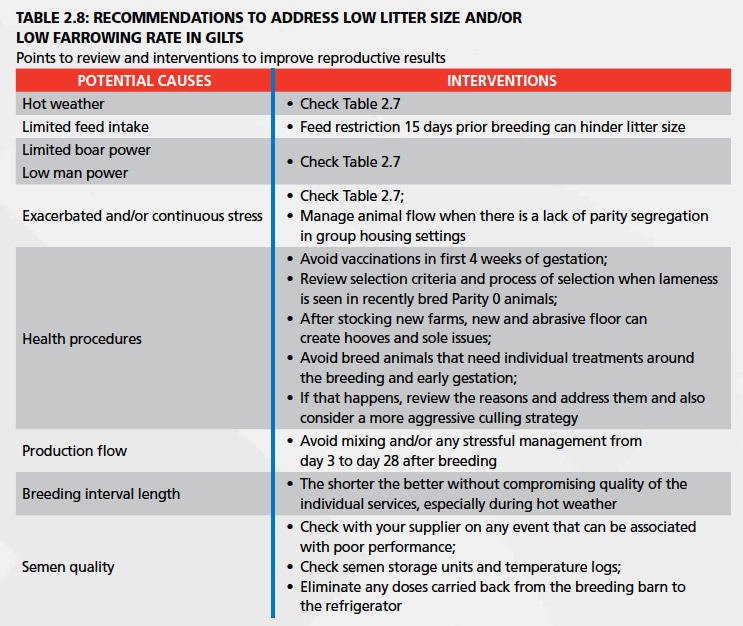 This section provides recommendations and best practices for gilt management. 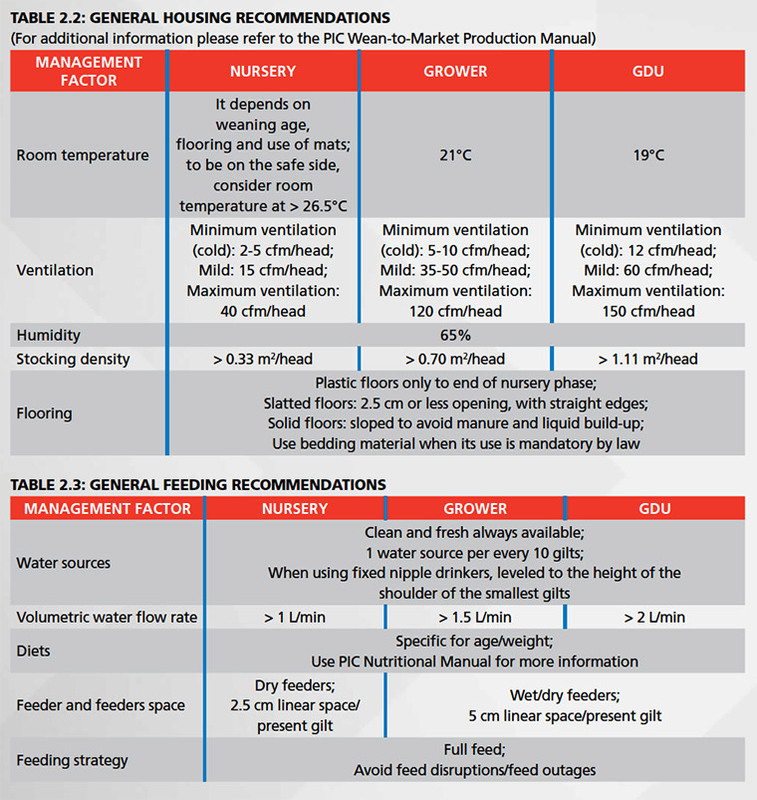 It will help producers prepare gilts to have high performance in their first parity while priming them for high lifetime performance. 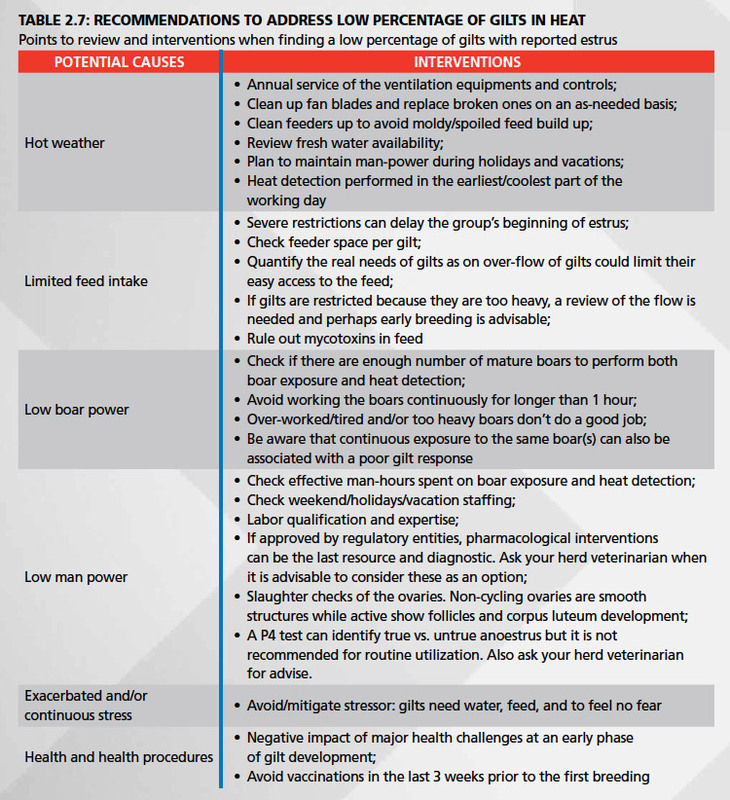 Part of the variation in performance across systems and even within systems can be attributed to the quantity and quality of gilts at their first breeding. 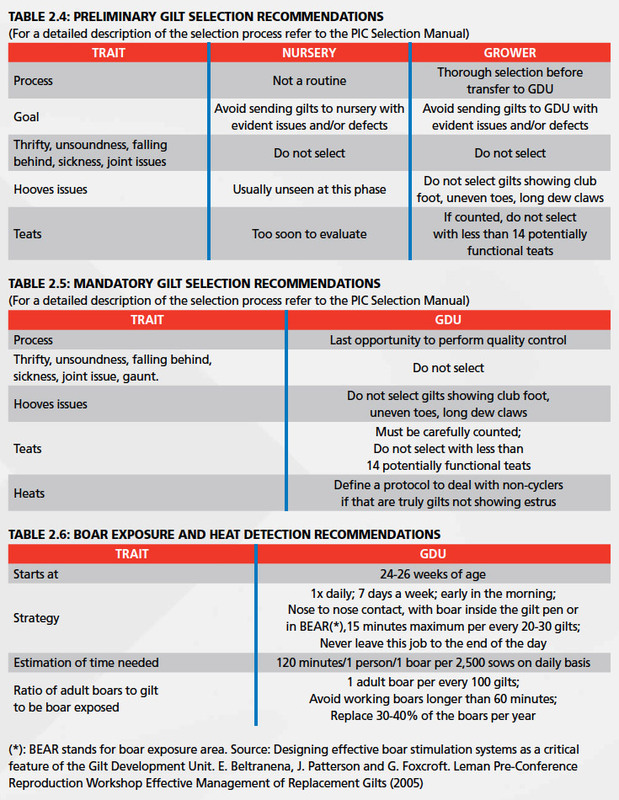 The conditions associated with high performance in parity 1, such as lifetime performance and optimized cost of production, are summarized in the tables below. Under all circumstances, producers should adhere to the locally applicable laws that regulate management and housing practices, even if they differ from the recommendations presented in these guidelines. 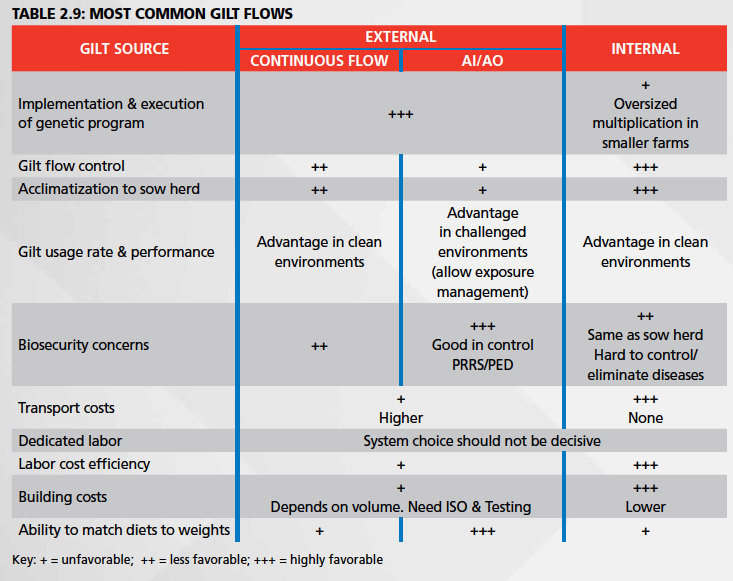 There is no consensus on what is the best flow to generate replacement gilts as each possibility has pros and cons and depends on the local circumstances. Different options are shown below.